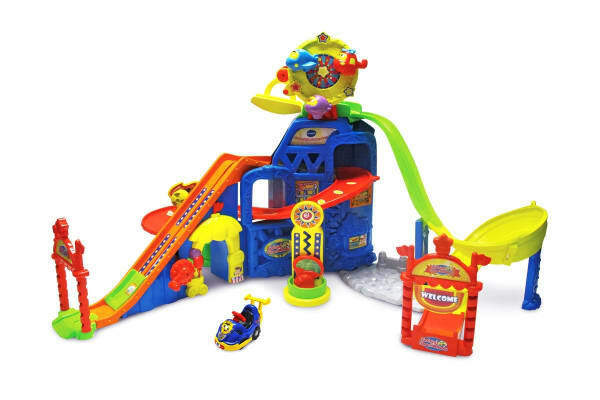 Entertain your child with lights, music and sounds with the VTech Toot Toot Drivers Amusement Park! Zip around the amusement park with the included electronic go-kart vehicle and learn as you go! The park features 6 SmartPoints locations for added interactivity and includes 4 action zones: rollercoaster, ferris wheel, entrance and press and spin zone. The play set offers various manipulative features to help develop fine motor skills.